Gifted students are those whose potential is distinctly above average in one or more of the following areas of ability at school - intellectual, creative, social and physical. Our gifted and talented programs provides these students with learning opportunities on top of the normal curriculum. 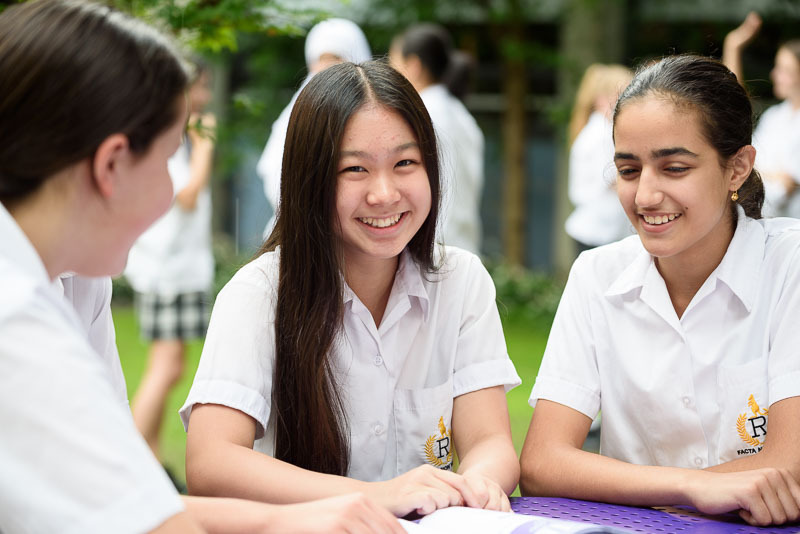 Randwick Girls' High School provides an enriched environment for our targeted gifted and academically talented students with staff who are specially trained in gifted and talented education through the University of NSW program GERRIC. Project Based Learning unit whereby Gifted and Talented students design, coordinate, and deliver a comprehensive School Magazine showcasing the achievements and celebrating the successes of the students and staff of RGHS. In Years 7 to year 10, gifted students are placed into two academically ‘selective classes. These classes provide opportunities for the students to interact and learn with similarly gifted students in an academically challenging and stimulating environment. Selective classes complete their curriculum alongside the mainstream classes. The courses share a common curriculum but are taught in a way that challenges the selective students and allows them to fulfil their potential in all curriculum areas. Each year the top Year 9 English class is responsible for the creation of Jirra, the Randwick Girls’ High School Magazine. The students develop the concept for the magazine that seeks to celebrate the vibrant and empowering learning opportunities that make up the ethos of RGHS.